I love those you read to me, I'll read to you books. I've been meaning to get around to reading Tuesdays at the Castle because I really enjoyed George's Dragon Slippers, but I just can't seem to find the time, or when I might have time, it is checked out of the library! 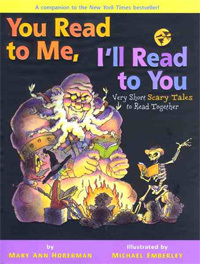 That Halloween read to me/I'll read to you looks nice, Katie. And also Tuesdays at the castle. Sorry you didn't care for Winter Is Coming. I did enjoy it, think it said much for younger children as they read the spare text, and added information from the illustrations. 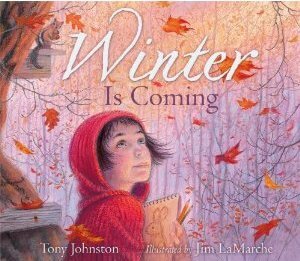 I think you are right, Linda, that Winter is Coming would work so much better as a one-on-one book with a child. 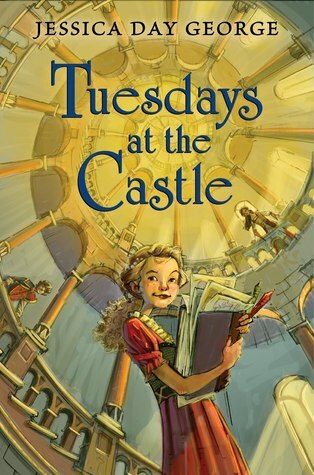 I enjoyed Tuesdays at the Castle too and know I'll have students in Children's Lit who want to read the series. 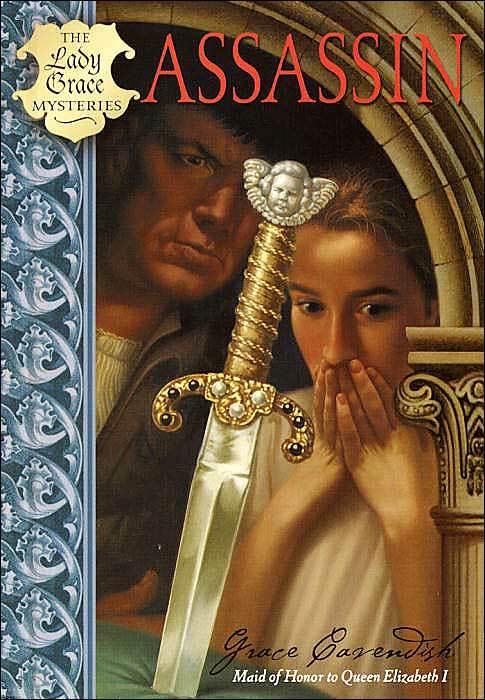 I love the cover of Winter Is Coming. Sometimes the books with spare text really work for me; other times, I'm left wanting more. 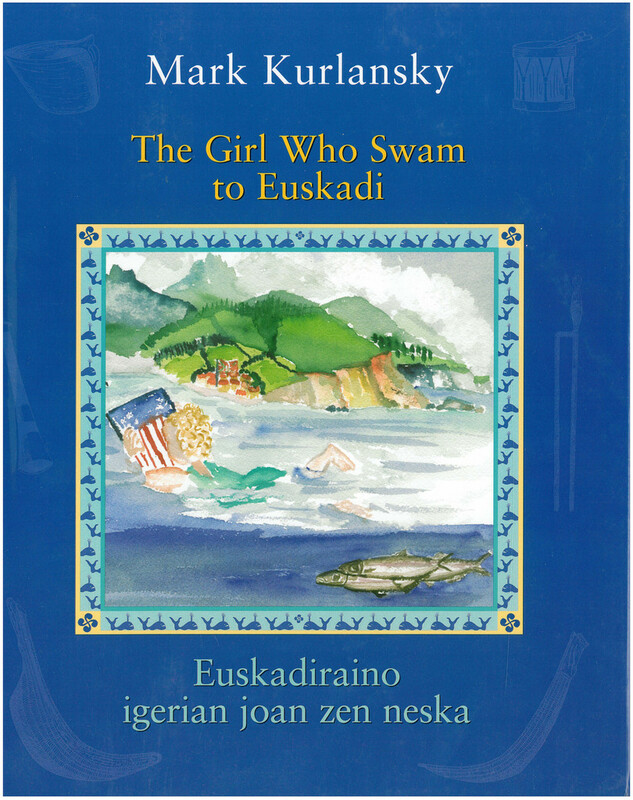 I always find it interesting to read those books with young children--I often find the reading experience to be quite different for me when I'm sharing the book with others. You make an excellent point, Elisabeth. I feel like you can have sparse text and still a sense of movement and purpose, but here I just didn't find it on the first read. The artwork for Winter is Coming is absolutely fantastic. 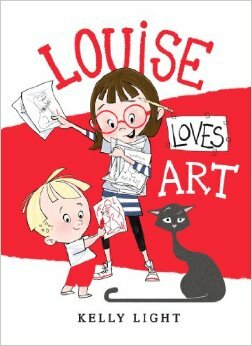 I might almost like it better as a wordless book! Really looking forward to meeting you next week too!